In a complicated sort of way. 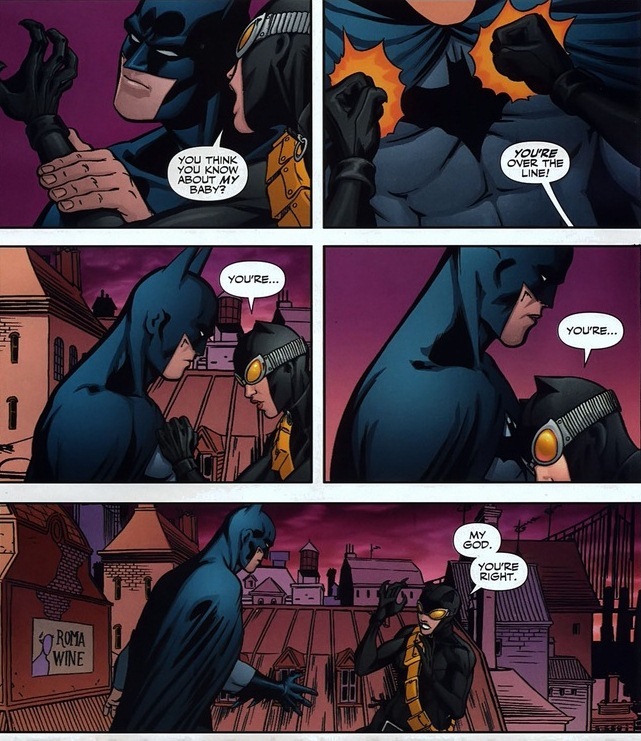 Look, I believe that Batman and Catwoman are the closest the two have to soul mates. Probably somewhat to do with the severe emotional issues both of them possess. But I also personally think the DC reboot was a smart choice and the Superman/Wonder Woman relationship is fantastic, so my opinions are less scholarly and more optimistic. 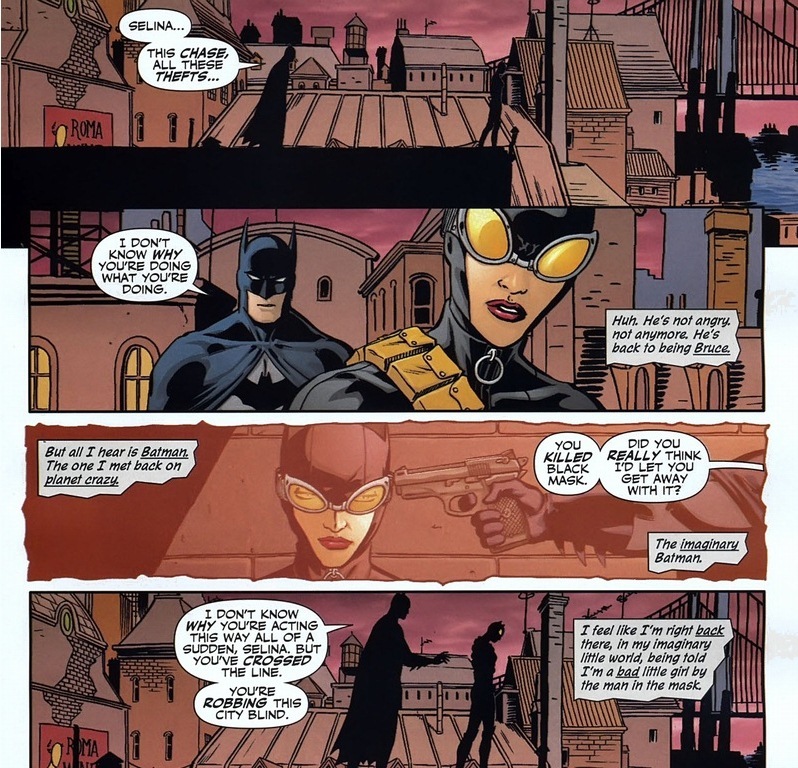 Though Catwoman #81-82, written by Will Pfeifer and drawn by David Lopez, explains my Batman/Catwoman theory far better than I can. 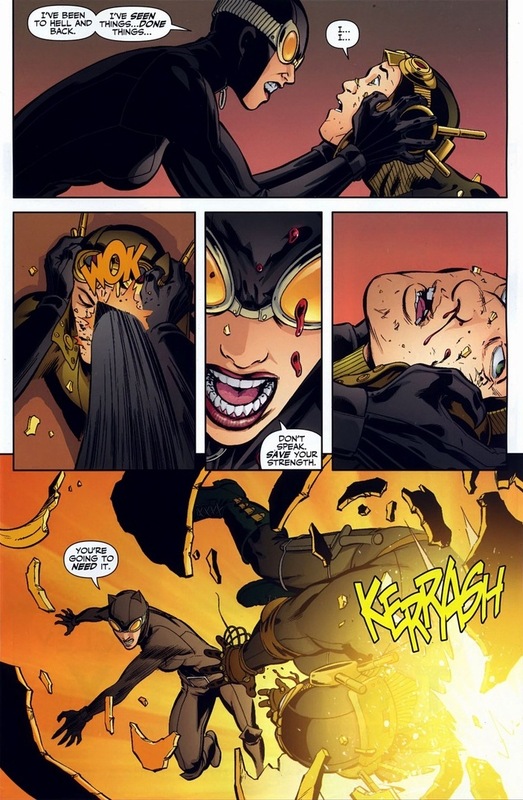 In her solo series, Catwoman’s (real name Selina Kyle) had some major crazy events go on in her life. Even with the Black Mask stuff excluded, she birthed a child named Helena she gave up for adoption, infiltrated of a violent Amazon tribe, got stuck with Lex Luthor on a crazy prison planet, and finally, her sidekick/best friend Holly Robinson fled Gotham City for good. 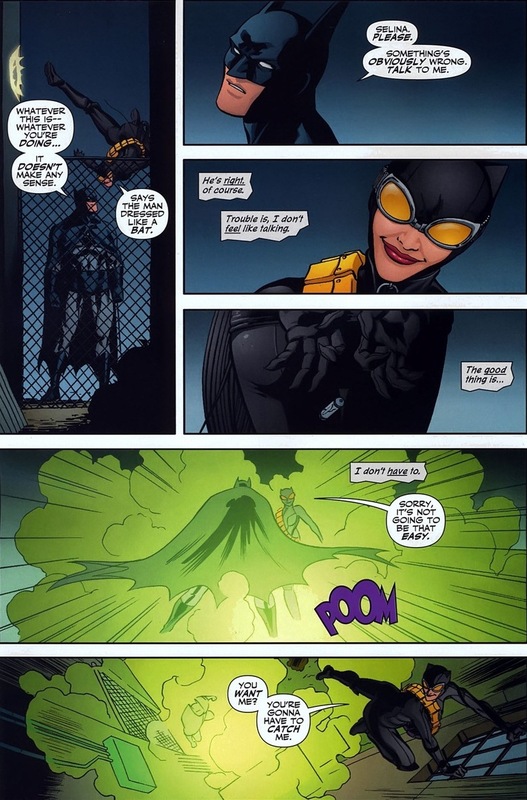 After nonstop horrible crap thrown at her for half a decade, Catwoman’s old habits kick in again, like a smoker lighting a cigarette after a half decade of nonstop horrible crap. 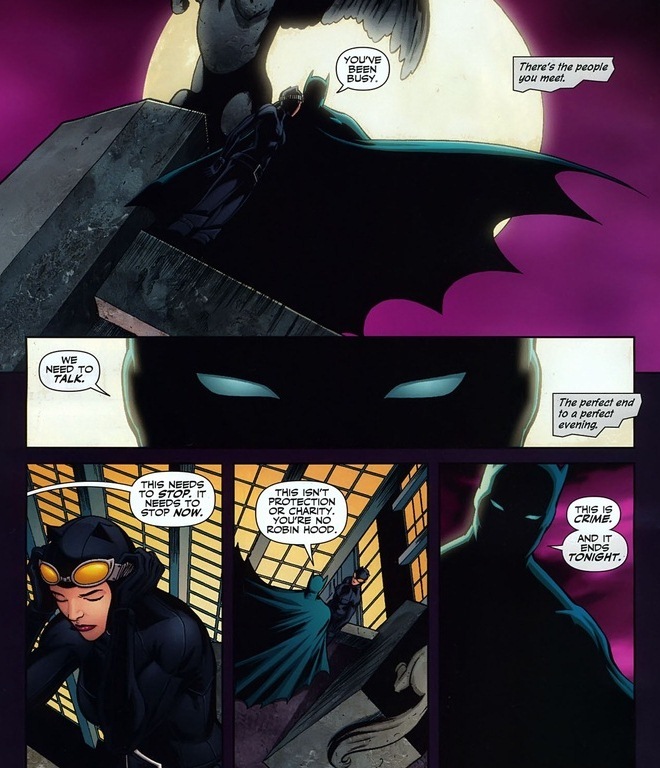 Because Catwoman isn’t Batman. He has devoted his life to fighting crime, no matter how grim or bad it gets. Not Catwoman. Besides an obvious breaking point, she has a different reason to don her costume. But more on that later. She enjoys a few issues of good old fashioned antics. 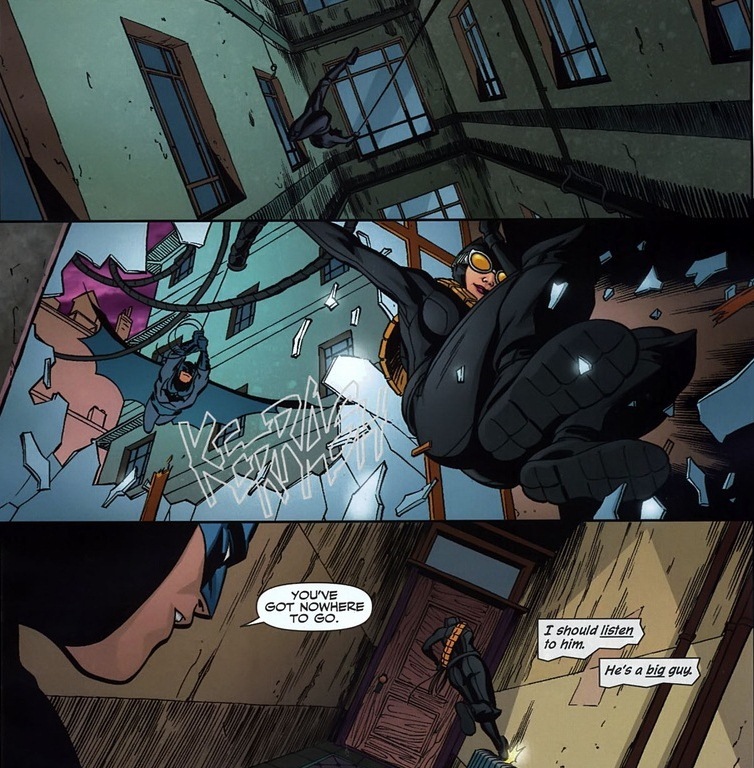 Eventually, her behavior gets noticed by the Dark Knight, most likely because the bat computer updates Batman on what criminals eat for breakfast, much less major antihero crime sprees. He ain’t smiling, though honestly, he hasn’t really smiled in years. How ominous! In her current fragile state, the next twenty pages may very well all be because Batman barked an order. But mostly it’s cry for help to gain some sort of normalcy in her life after 80 issues of tears, murders, and vengeance. I mean, if we’re being optimistic. 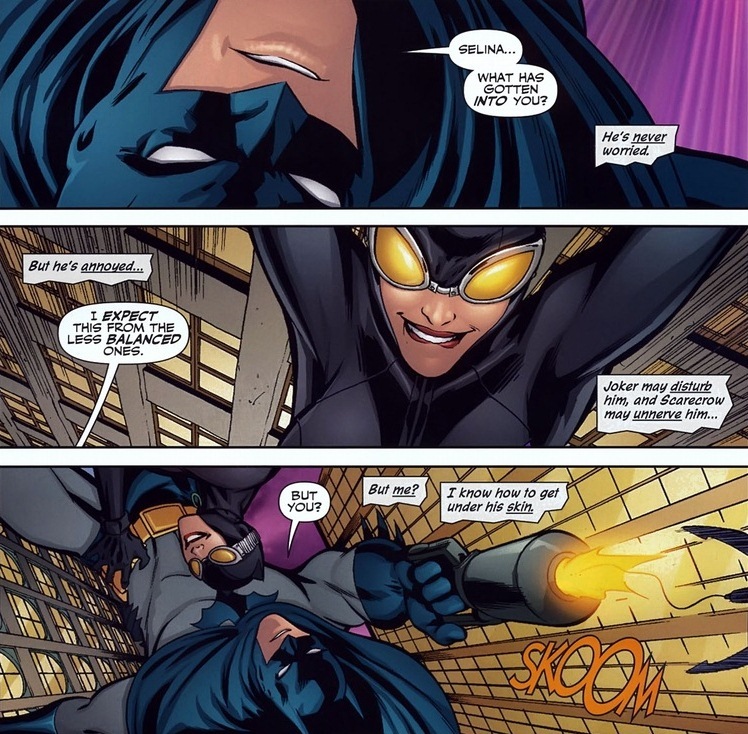 Thus begins a dozen pages of chase scenes where Batman uses his world’s greatest detective skills on her mood swings while she just runs around being a jerk. 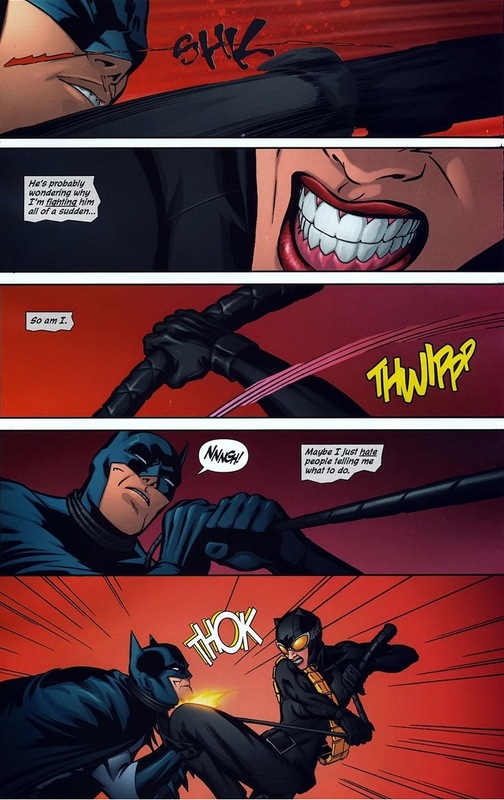 Watch for those little moments where Batman forces himself to hold back on his usual problem-solving technique: face punching. I’m only showing you the highlights, but if you want to see the full Gotham rooftop triathlon, pick up the issue. As much fun as the costumed pursuit contains (lots), we have to eventually get to the heart of the problem. The thing, you see, is that neither of them really know what’s bugging the cat. Does she do the right thing and sit down with quite possibly the most important person in her life, patiently and therapeutically discuss her problems and past events in the rational manner Batman wishes? Of course not. Remember those severe emotional issues I mentioned in the beginning? Oh, you mean this isn’t how a normal woman in her early to mid 30s acts? Though immaturity may be a legitimate reason why the entire DC roster got de-aged by a decade when they rebooted. Still, you know who doesn’t take antagonizing very well? Hint: he also happens to be a billionaire philanthropist. 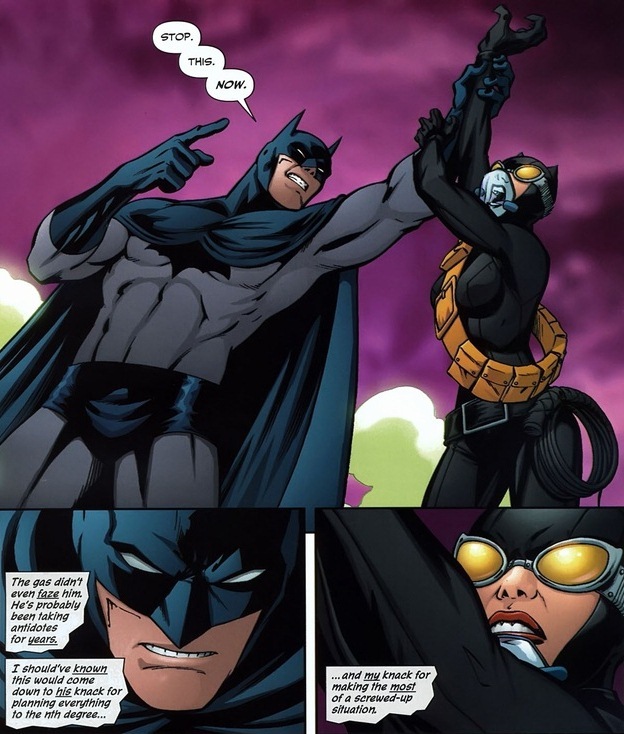 Since she used all of Batman’s weapons already, Catwoman’s forced to use her own secret weapon. 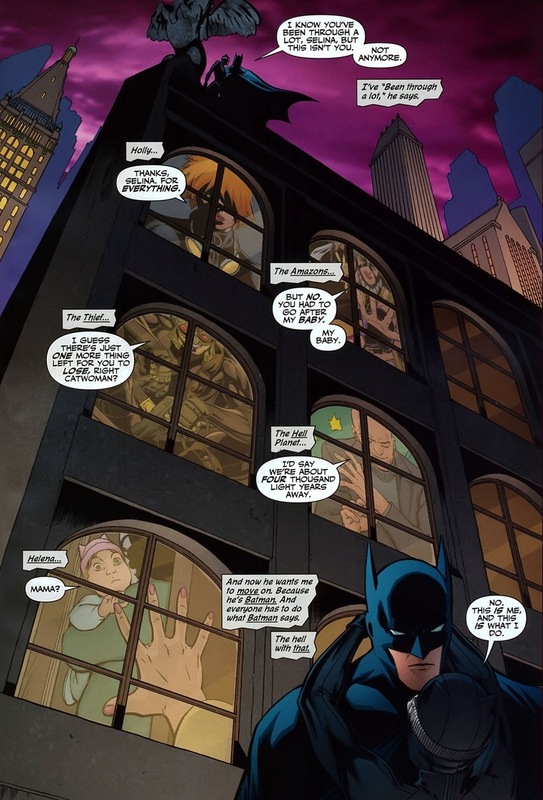 Maybe the Joker should try that next time he’s dangling off a gargoyle nursing a concussion. 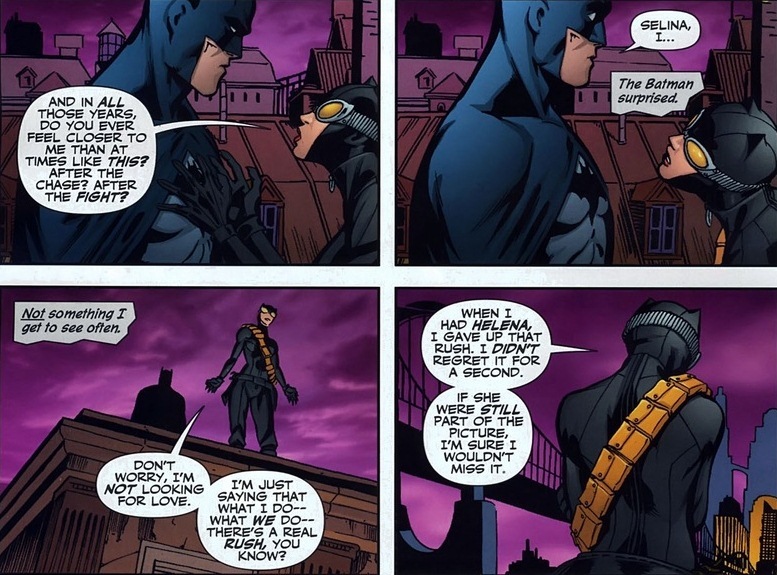 Finally, Selina drops the whole charade and bares her broken soul to the one man in Gotham whose lack of sympathy is only matched by his lack of leniency. Not to ruin the moment, but I have no idea where Batman’s glove went. I scoured the issue, but one panel he has it and the next he doesn’t. 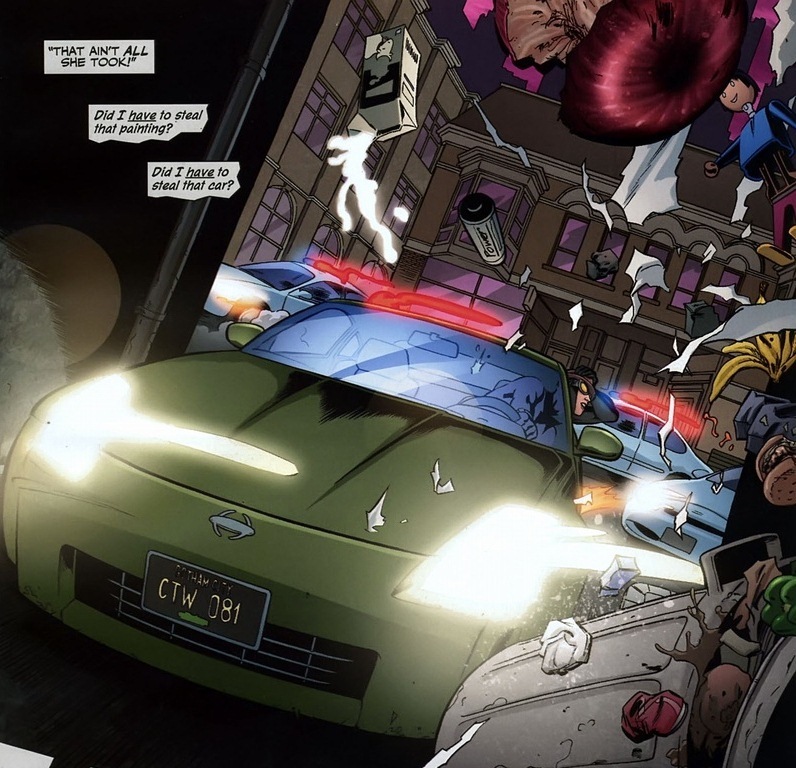 Let’s just say WayneTech made some invisible glove gadgets and move on to our finale. There you go, the truth we’ve sort of subtly knew all along. Nothing does Catwoman enjoy more than being Catwoman, including motherhood. She attempted every possible angle and thrill, but only that skintight costume brings her the happiness she has sought her entire life after. 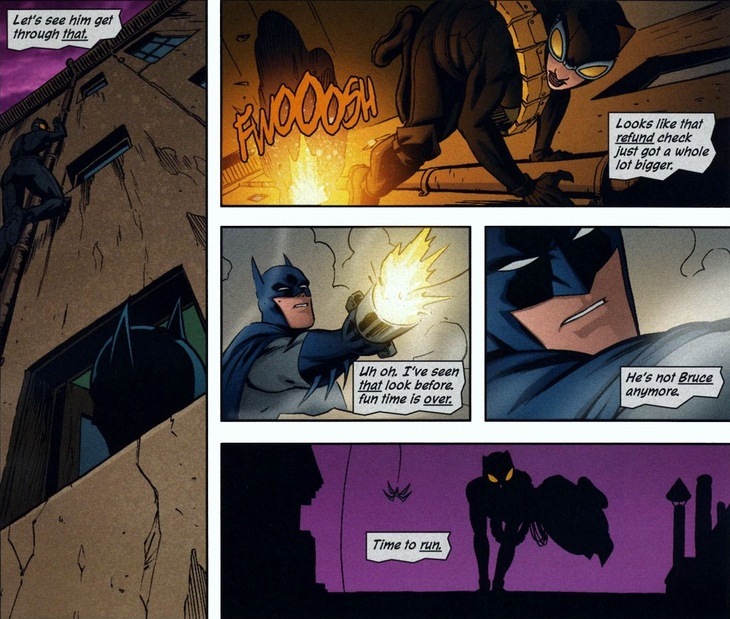 And truthfully, Batman completely empathetic, seeing as how he’s the exact same way just with brooding and darkness and whatnot. If both of them have to be in costume, why not together? 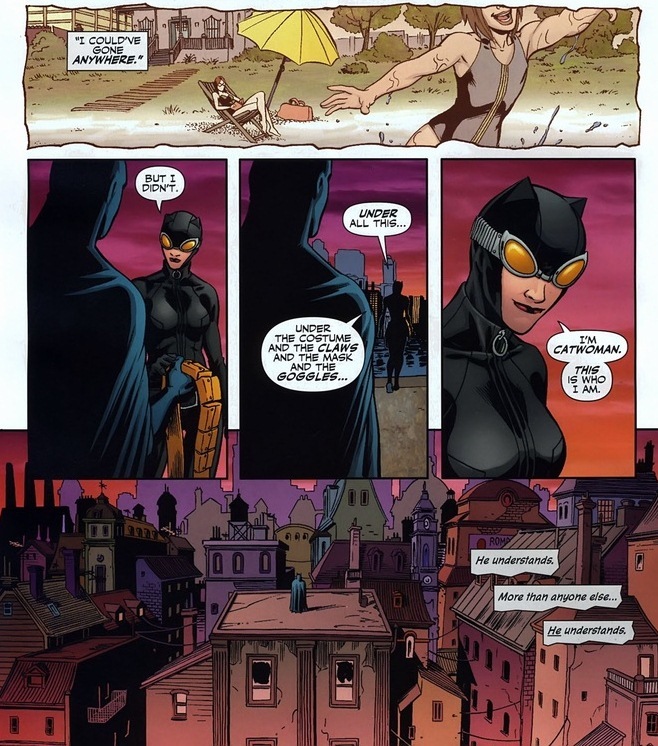 Maybe some of Catwoman’s lighthearted playfulness will rub off on Batman and some of Batman’s stoic responsibility will affect Catwoman. Soul mates, I tell you! 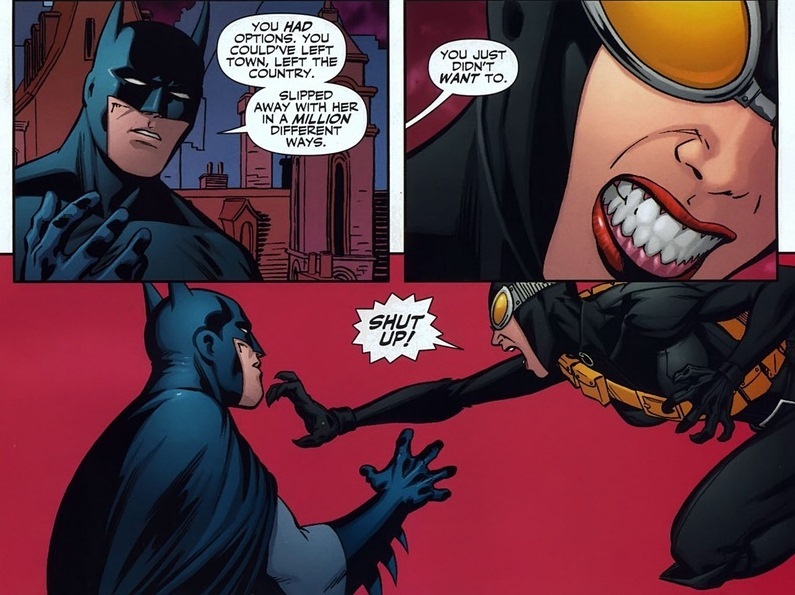 So how does she thank Batman for helping her realize the truth and snap back to reality? 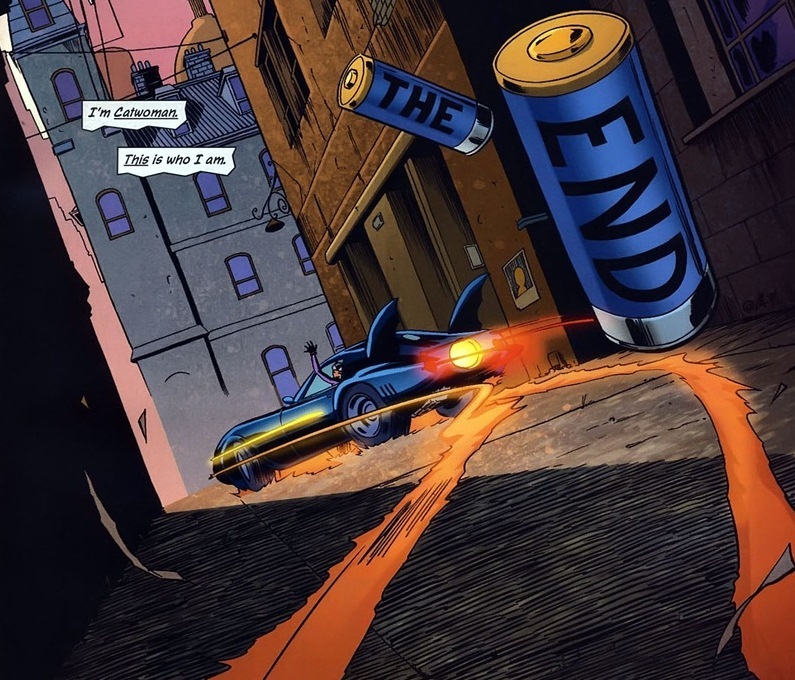 Nothing wins Batman’s heart like Batmobile theft. 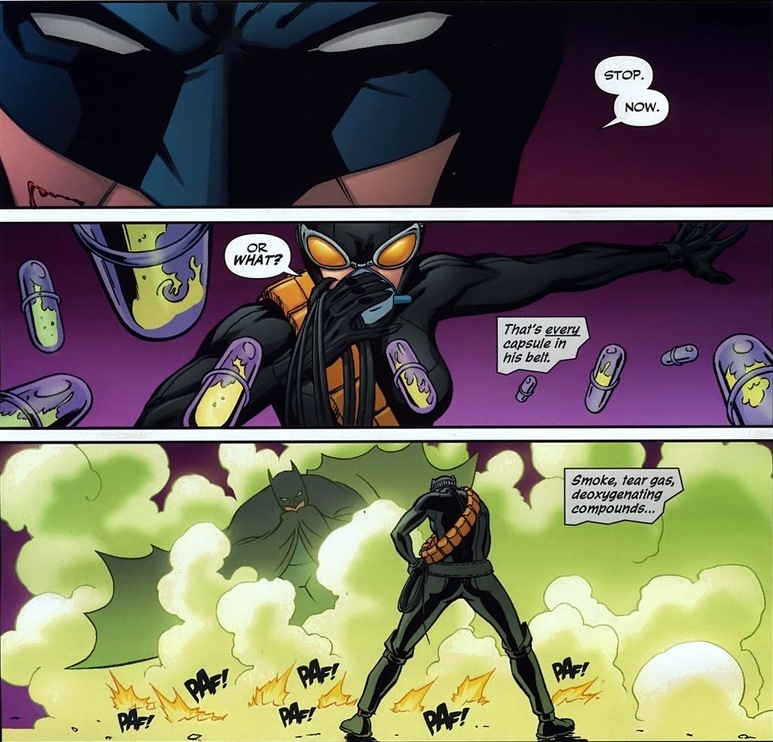 Just don’t tell Jason Todd that. 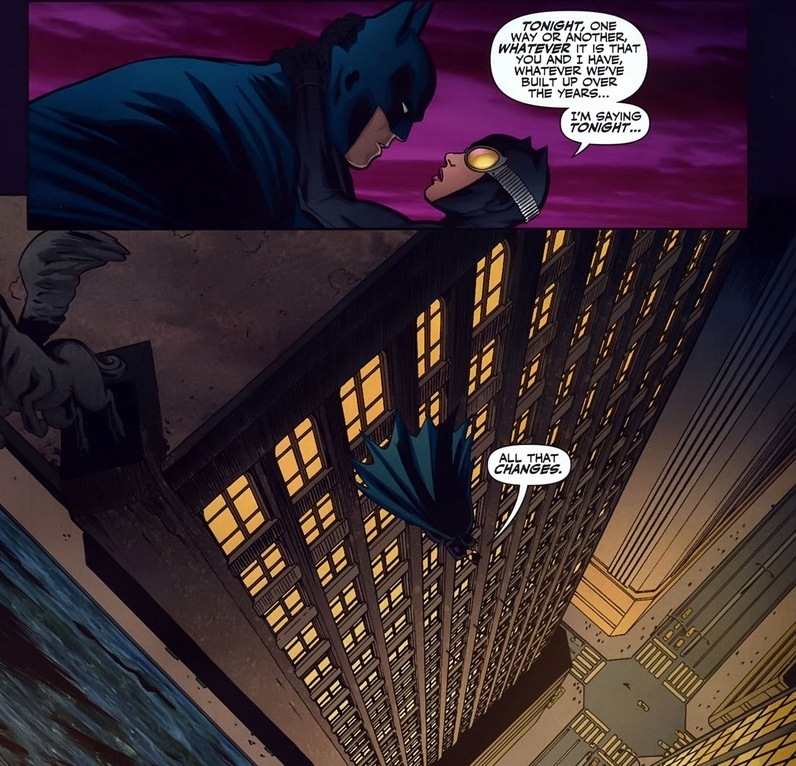 Catwoman steals Batman’s glove while they are kissing and uses it at the end to break into his car. I know that’s not the most relevant detail to what you’re talking about, but your side comment made me feel the need to find out. Thank you! I appreciate the heads up!